Our range of products include galvanised riser pipe. 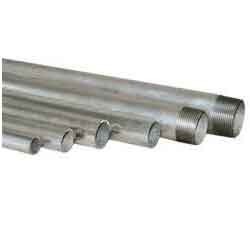 We are offering wide range of Galvanised Riser Pipe. Our Riser Pipes widely earn accolades for their prominent features and this makes our products high in demand in the market. Riser material is used in sprinkler and other usages also. Looking for “Galvanised Riser Pipe”?